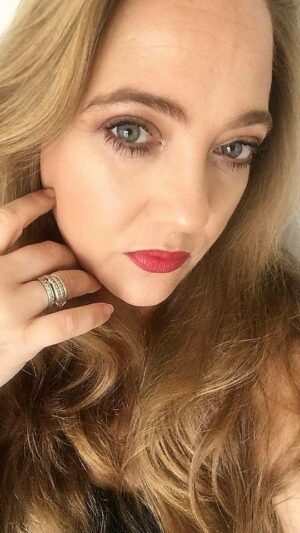 Simply Beautiful Collection (SBC) are launching an amazing value skincare collection on Qvcuk this Wednesday 18th May 2016. The special Collagen collection that forms the Qvc Todays Special Value is only released once a year and therefore is highly anticipated amongst regulars. However, if you are new to the brand or even the Collagen range, let me explain what it contains and why is it so special. Collagen Bath and Shower Crème 500ml – I have been a huge fan of this product for years and years and years. It smells absolutely gorgeous thanks to the inclusion of Passion Flower Oil and Kukui Seed Oil. It is also these two highly important ingredient’s along with soluble Collagen that make this product deeply hydrating, anti-inflammatory and nourishing. Perfect for aged, mature skin, skin that is dry and needs some love and just to give and all round healthy, soft looking, plumper, smoother look and feel to the skin. Suitable for the whole family including children, it only takes 2 pumps under running water in the bath to create a luxurious foam, that leaves a delicate scent on the skin. 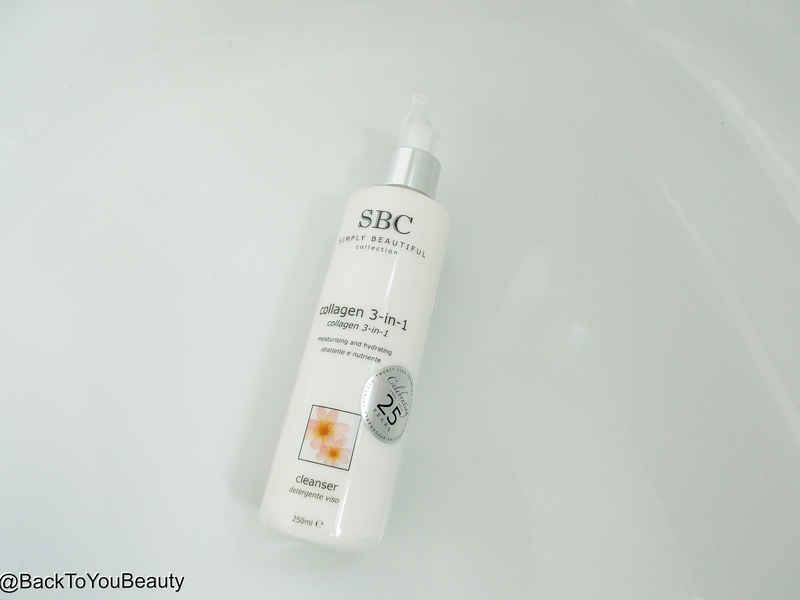 Collagen Hydra-Gel Serum 30ml – This Serum is amazing! 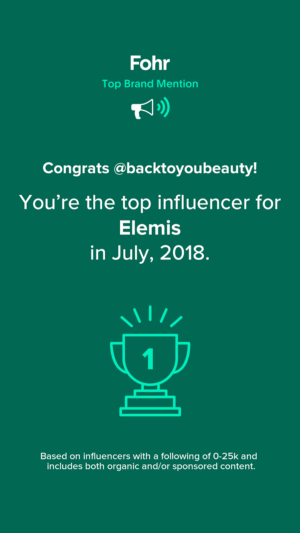 There I have said it, and yes I am a serum junkie, and yes I think lots of serums are amazing! I also think many are not so great and for such an important part of a skincare routine, I make sure I shout loud for the ones I love. Do not forget this is a 10% inclusion of Collagen serum we are talking about here and some brands charge double the price for a lesser amount so to get this 30ml bottle for £35 (if bought direct) is outstanding. Firstly the packing is sleek and lovely looking. Simple yet effective, airtight bottle which keeps the product clean, is also see through so you can see that it is filled all the way to the top and also great to keep an eye on when you need to restock, I love that touch on a serum. This intensive serum is packed with Marine Collagen which is used in products all over the world because of its anti-ageing benefits. This important ingredient is amazing at plumping and deeply hydrating the skin whilst minimising the appearance of fine lines and wrinkles. 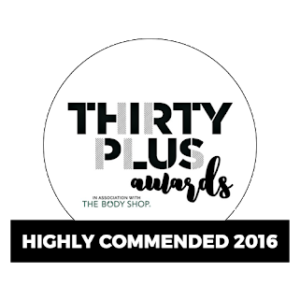 It works wonderfully on mature, thinning skin and also on dry or dehydrated skin as it is gentle but effective and gives great results. Applied after cleansing this product lifts and brightens the skin and is an important part in your skincare routine. 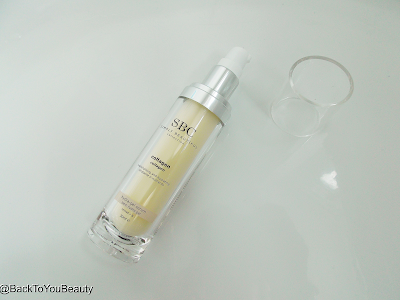 I adore the scent of this serum which is similar to the other collagen products. 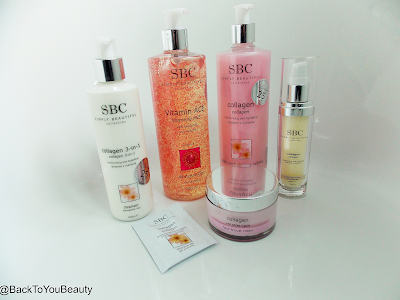 Collagen Neck & Bust Cream 100ml – This Brand New Launch Product From SBC is very exciting! A beautiful pot full of gorgeously pink, decadent, neck and bust cream. Oh wow this is sooo addictive, I cant stop smelling it, I cant stop using it. It actually makes my mouth water every time I remove the lid. This pot, to me is over and above worth the price of the whole collection. It is outstanding. Enriched with Oceagen. Marine Collagen and Kigelia Africana Extract ( a fruit extracted from the African Sausage Tree) The key benefits are to tighten and treat the breast, neck and décolleté area. Infused with luxurious Sweet almond oil, Passionflower oil and Kukui seed oil, which all gives it the incredible scent, it is full of antioxidants and vitamins. If you are concerned about slackening skin and the signs of ageing around the mentioned area, this is perfect to use. Twice a day apply a small about from the bust area all the way up and under the chin In upward strokes. This cream is so light and cooling and has a lovely slip factor, so the skin will not pull or tug. The skin immediately feels softer and looks lifted. With twice a day use I can imagine the benefits will be amazing. Shelf life opened 12 months. 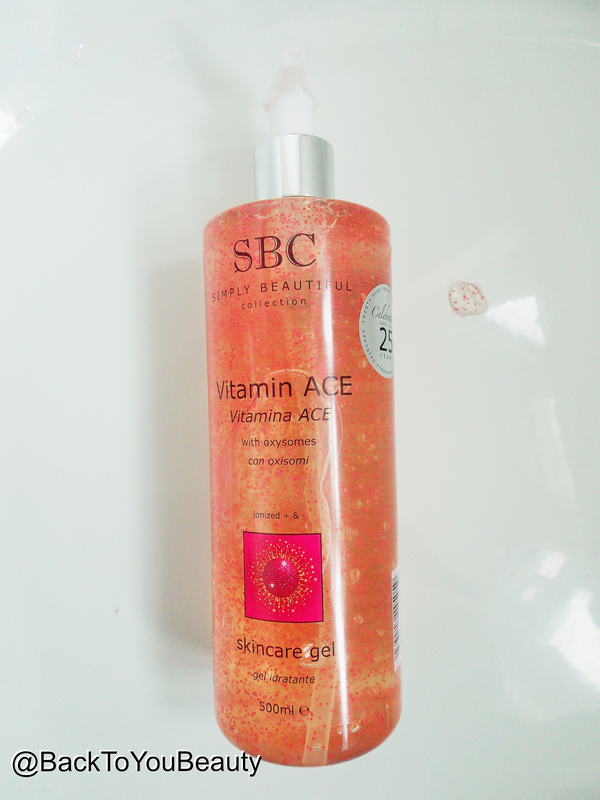 Vitamin ACE Skincare Gel 500ml – If you are someone that is concerned with ageing skin, or find yourself waking up each day with a dull, tired looking complexion, for me this is where Vitamin ACE Gel comes into its own. 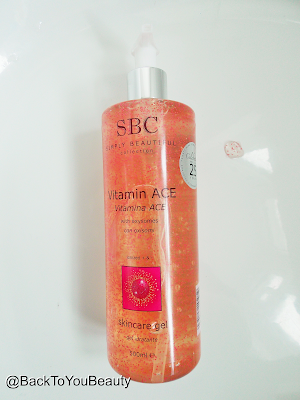 This cooling gel which contains Vitamins A, C and E can be used all over the face and body. This is able to protect your skin against the elements and any damage that they can cause and therefore protect it against more signs of ageing. This gel contains pink beads which contain Vitamin C and E, the Vitamin A is in the gel itself. As this gel is massaged into the face and body, these beads, that have been kept as pure as possible, burst onto the skin giving it an intensive treatment. Encapsulated beads always deliver the best form as possible and a really high concentrate. These beads burst gently and easily over the skin and do not leave anything behind. This powerful moisturiser enhances collagen promotion whilst feeding the skin and giving it a brighter, smoother, younger looking appearance. Safe to use from head to toe or blend with other SBC gels to create your own bespoke blend. The gel feels cool to touch but dries quickly without leaving any stickiness behind. Would be great to use after sun exposure to protect and cool the skin. Apply after serum as your moisturiser. My overall thoughts. This collection is absolutely outstanding. It really is the Ultimate in affordable skincare. 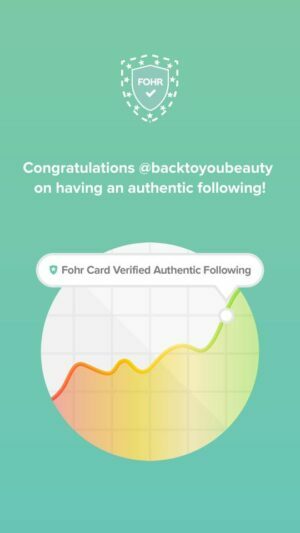 I have been using SBC for over 10 years as do my whole family from my youngest child to my 82 year old nan so it really is a brand I have a lot of love and trust in. 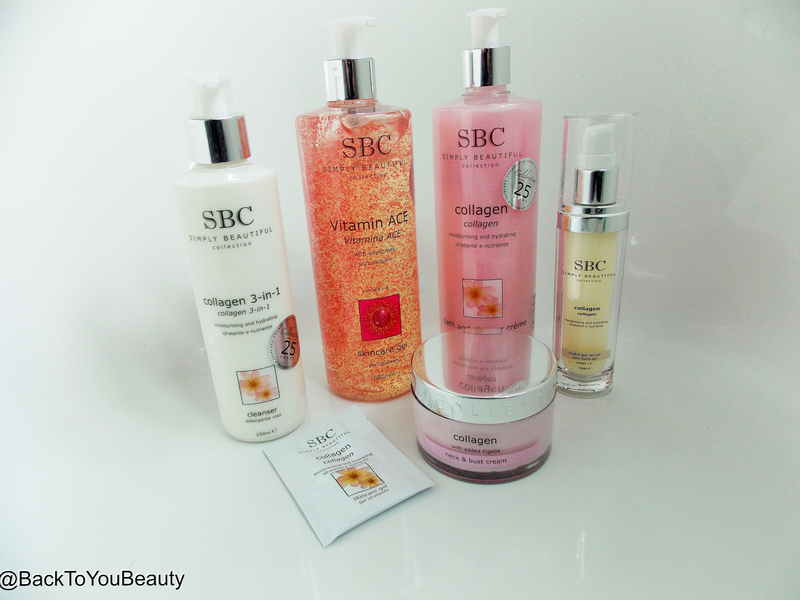 This Collagen Collection is amazing for anyone really concerned with those signs of ageing or maturing skin. If your skin appears dull and dry, this long lasting Collagen collection really does contain high end ingredient’s to work with your skins needs and wants and drip feed it. These products are ionized + & – so are great on salon machines too. This five piece set, if bought individually from SBC themselves, would usually retail at over £130.00. This collection, as a whole is, only available on 18Th May for 24 hours or whilst stocks last from QVCUK HERE. For more information on SBC Gels click HERE. To search for more of my posts on SBC Gels, please type SBC in the search engine on the top left of my blog or click on the links posted above. Look forward to hearing your thoughts on this collection. "Sukin Australian Natural Skincare – 100% Vegan skincare looking after our envioroment, looking after us"
"The All in one skin Oil from Eloquence Beauty that i can not get enough of!"